Since the invention of hydrogenated vegetable oil in the early 20th century, “shortening” has come almost exclusively to mean hydrogenated vegetable oil. Crisco, probably the most popular shortening is made with genetically modified cottonseed oil. For that home-baked flavor….cotton is one of the most heavily pesticide laden crop grown in these United States of America…oh and lest we forget the partially hydrogenated part of the equation…which has nothing to do with taste or health, but has everything to do with shelf life….and heart disease, trans fats, the one thing you can say about shortening is that it’s cheap. Which is why my Grandmother who had lived through two world wars and her offspring (my mother) used it – it was cheap, it never went bad and not having had extensive experience with butter in pie crust or baked goods seemed perfectly fine. Of course, no surprise here, I didn’t buy Crisco, I bought Earth Balance a Non-GMO, non cotton seed oil, non hydrogenated shortening in order to do my experiment, which was to make this cookie two ways, with and without shortening, and I add hastily that the recipe with shortening also includes butter. *Before I get into the recipe I want to talk a little bit about Lard, which is rendered pig fat, I called shortening the poor mans Lard which isn’t to the word true, as you can buy partially hydrogenated Lard for the same price more or less as shortening, but if you buy actual lard from a pig that lived on a farm – from someplace like Heritage Foods, it will be much more expensive than Crisco. This latter kind of lard is a great thing to use in cooking, just not in baked goods, I think of things like Tourtiere or Chicken Pot Pie…it is to my mind a savory fat. This piqued my curiosity so I went to my bookcase filled with cookbooks and looked up “chewy” cookie recipes: Chewy Oatmeal-Raisin Cookies, The Ultimate Soft and Chewy Chocolate Chunk Cookie, Chewy Almond Macaroons, The Chewy, Chewy Brown Sugar Cookies – I even found Chewy-Dense Brownies….but no shortening not in anyone I found. And when I made the two batches of cookies back to back – and asked my friends what they thought – everyone I asked (ok it was like 3 people) picked the all-butter version, which also were a little bit more cakey…. but as you can see from the picture below, they look exactly the same. In the picture below the butter cookies are on the right… And while we are doing side by side comparisons, can you tell which one is butter? In the end this is one delicious cookie, which ever way you choose to make it. Given the information in this post and the fact that taste wise it does seem like the butter version is more popular, I don’t see the point in buying shortening. It just seems to me like a bad idea – I did this experiment because it is so easy for me to make up my mind about something and then be very rigid about it, so I wanted to really explore all the aspects of my shortening hatred and see if I changed my mind once I had all the facts. If anything I hate it more now, because it seems to me there are two reasons people buy shortening: It’s something they grew up with and is part of their food history, and memories…my mom used this….and because if you are poor it is cheaper. Just another way in which we screw the poor as I see it, let them have the cheap, GMO, Pesticide ridden, inferior product and make recipes that include it to make you think it actually has value when it doesn’t. Sorry if that seems harsh, but I believe it to be true. OK so if you have read this far you deserve a reward! There are so many versions of this recipe I wanted to share with you the ones that most intrigued me. Epicurious (for the life of me I have never seen “lite” molasses…101 Cookbooks has a nice spelt flour version, Will Cook For Friends which gives the option to swap “dairy free margarine” for the butter – for I would assume people who keep kosher and wanted to make this parve for a meat meal and finally here is Michael’s recipe which I made as is and swapping out the shortening for butter so using 3/4 Cup of unsalted butter….instead of 1/2 cup shortening and 1/4 cup butter. Also I cooked mine for 12 minutes – I found the cookies, in my oven were not cooked enough in the 8-10 range that is suggested. 2. Combine flour, powdered ginger, soda, cinnamon, cloves, salt and cayenne. Set aside. 3. Cream brown sugar and butter until fluffy. 4. Add eggs, molasses, and beat until blended. 5. Add flour mixture until just blended. 6. Gently stir in crystallized and fresh ginger. 7. Cover and refrigerate dough for 1 hour. 8. Shape 1 Tablespoon of dough and into balls and roll in sugar (or nothing at all), and place on a baking sheet. Don’t flatten. 9. Bake 10-12 minutes. 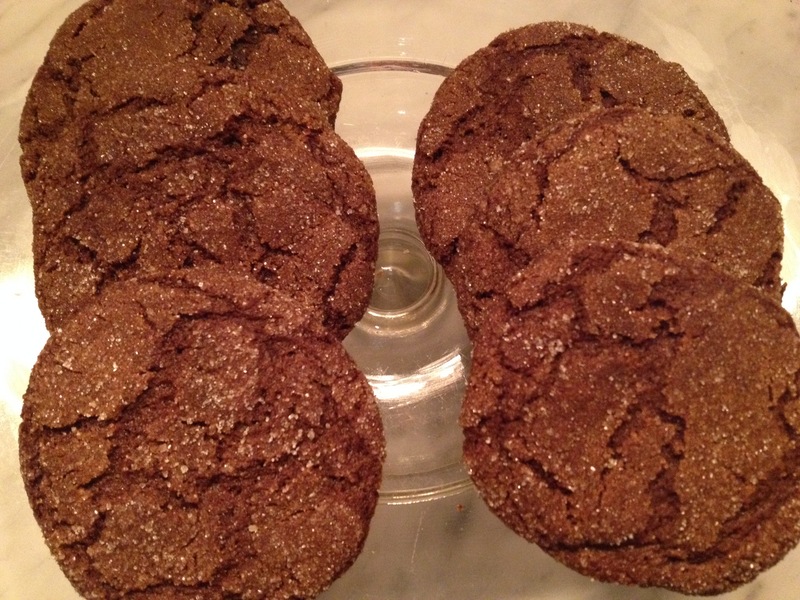 Cookies should be firm around the edges, flattened with a cracked surface, the center will be soft. Do not overbake. This entry was posted in Other Stuff, Politics, Recipes and tagged 101 cookbooks, Baking, chewy cookies, Chewy Triple Ginger Cookies, Cottonseed Oil, Crisco, Epicurious, GMO, lard, pesticides, recipes, rendered pig fat, shortening, Triple Ginger Cookies, will cook for friends. Bookmark the permalink. I love that you spent so much time discussing this cookie. I’m fascinated by the shortening dilemma. I only started using shortening recently for a few recipes once or twice a year that required it. I will buy the Earth Balance this year. Thank you. I’m also going to spend more money this year on better ingredients for my baking. Looking forward to seeing if anyone notices a difference in the recipes. All that said, I’m a huge cookie lover and baker (usually once a year at Christmas). I know historically you are not, so I really appreciate you stretching your baking wings for this post. I have come to rank ginger as my number one choice for ingredients in just about anything over the past ten years. Can’t get enough of it in any form. For instance I use uncrystallized candied ginger from Trader Joe’s in my hot tea in place of sugar. I think I’ll be going with the Oatmeal Gingersnaps because they were a huge crowd pleaser for all ages and palettes. The Lemon-Ginger were for people who really like lemon and ginger. 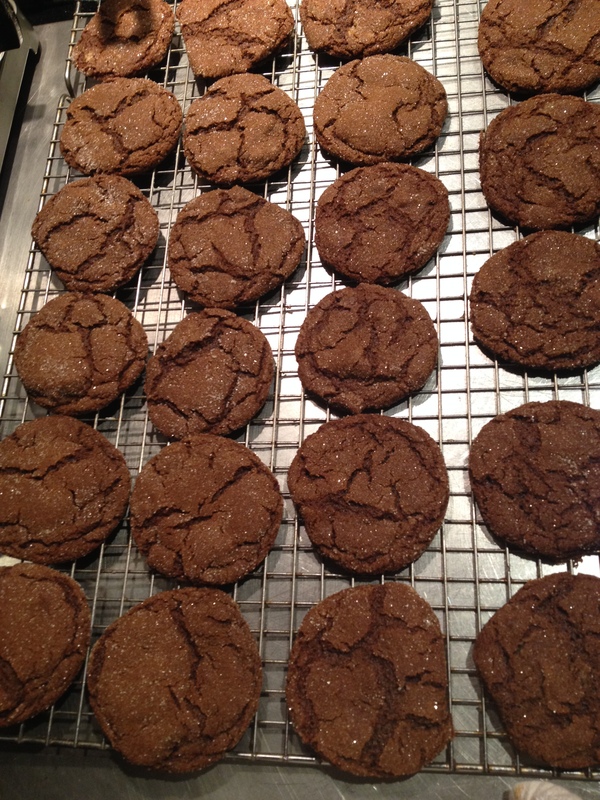 I guess nothing puts me in the holiday baking spirit quite like a discussion of ginger! I love cookies – I just find them a dangerous thing to have around the house. 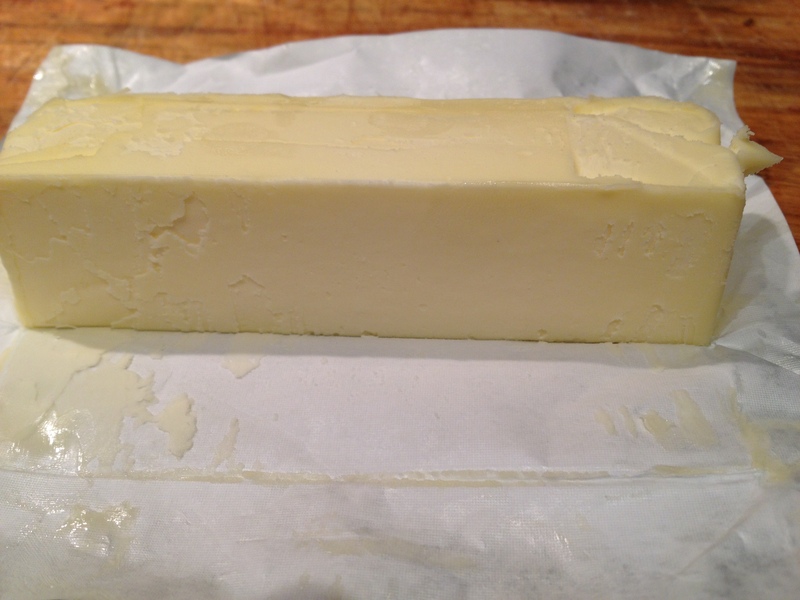 Thanks for sharing those links and really Philp I wouldn’t use shortening just use butter that’s really my conclusions – buying Earth Balance is the same price or more expensive than butter and trust me – butter is better! So when are we having our bake off! So, I don’t have to feel guilty about making pie dough with lard? That is good news because my grandmother’s fabulous recipe calls for it. Well it’s not worth feeling guilty for my only worry about Lard as I state is the lesser versions that are partially hydrogenated….the real deal is amazing! And there is something very important about carrying on food traditions – the only thing to realize is that the Lard used by your grandmother is not the lard most people by today. 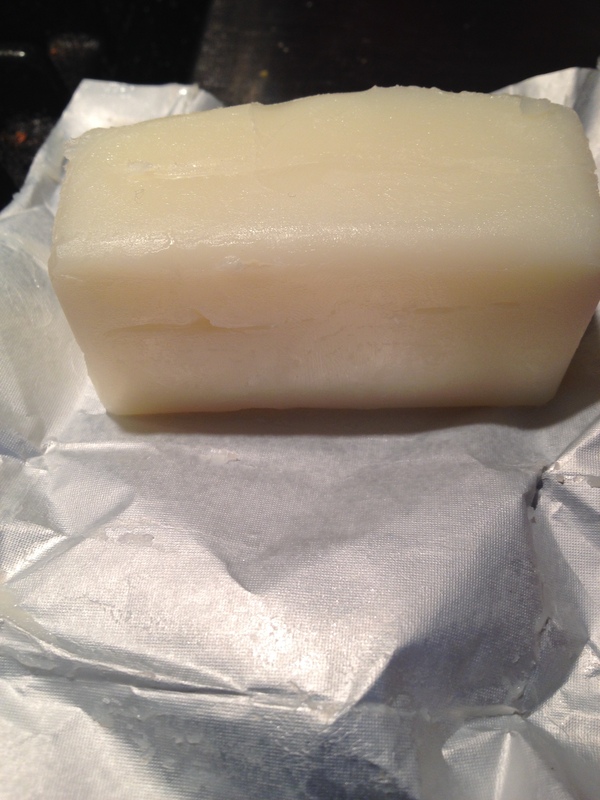 Have you ever used leaf lard? I expect pictures of you with a gingham dress and a frilly apron and a pig caracus over your shoulder!